The mounting form of the electronic components on the PCB has been developed from pin insertion using through-holes to high-density surface mount technology, and bare chip mounting is evolving from wire-to-die mounting. As from the QFP to BGA, CSP as the representative of the plastic package, PCB also requires more miniaturization and high performance, so at low cost to achieve this requirement of the laminated board came into being. Since the introduction of the photo-conductive vias in 1991, a number of practical lamination methods have emerged. The general laminated sheet is made of a conventional copper-clad sheet made of a glass cloth substrate and a thermosetting resin (such as glass cloth epoxy or glass cloth BT resin) as a core substrate and then formed on the core plate by An insulating layer (laminate layer) made of a resin having a thickness of 100 μm or less, and a conductor layer. The layer material used for the laminate is a photosensitive insulating resin and a thermosetting insulating resin (including a coated copper foil). Inter-layer connection are a photosensitive via resin, and a thermosetting resin (including a resin-coated copper foil), or a plasma through-hole. Although the laminate has achieved a high density, the low coefficient of thermal expansion and the high rigidity remain important characteristics of the laminate are to be concerned in the future, With the installation of low-thermal expansion of the electronic components and the installation of the chip, the laminate is further thinned, which will lead to the reduction of the substrate stiffness, the heat treatment of the substrate will be warped deformation, a direct impact on the installation of electronic components connection reliability. 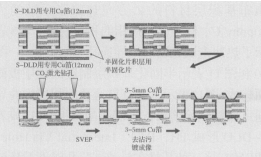 In order to obtain high installation reliability, Mitsubishi Gas Chemical Co., Ltd. has broken the boundary layer method using only the resin laminate, and proposed a glass cloth-based prepreg as a laminate layer of a conventional multilayer material, which is called a prepreg (Prepreg build-up), which can be made with high rigidity and low thermal expansion of the thin laminated board. As shown in Fig. 1, the elastic modulus of the core sheet is high, and a higher rigidity can be achieved. This type of prepreg has excellent laser processing properties and can be used for direct laser processing of copper foil (DLD, S-DLD) with fast CO2 laser processing. In order to form a fine pattern, it is necessary to perform a half etching of the Cu foil, i.e., a surface mount etch process (SUEP, Surface Uniform Etching Process). 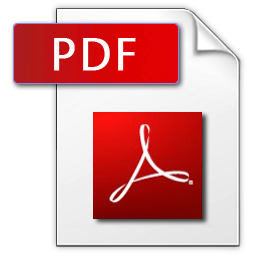 The general laminated board is composed of a base plate and a laminated layer. The semi-cured film layer proposed by Mitsubishi Gas Chemical Co., Ltd. is a method in which a glass cloth-based prepreg is used in a laminated layer, and the rigidity of the chip is higher than that of the conventional copper clad sheet, and is adapted to the thinning tendency of the laminated sheet. In addition, the high rigidity of the core material is suitable for 0.1mm or less of the CSP insert (interpose). The high-rigidity materials of Mitsubishi Gas Chemical Co., Ltd. are GLBR-8 3 0 HS (GL 3), glass epoxy type high-performance FR-4 type GEPL-190LN / EL-190, Type flame retardant GHPL-830NB / HL832NB (glass BT resin), GEPL-150 / EL150 (glass epoxy resin) without Br, P, Sb, all of which have high rigidity properties. Table 1 shows the characteristics of HL832HS. H L 8 3 2 H S can be classified into HS type using general glass cloth substrate and HS (SS) type with high rigidity using special glass cloth substrate. As can be seen from Table 1, compared with the standard type H L 8 3 2 (std), their glass transition temperature (Tg) is above 200 ° C. SS type of flexural strength is about 1.4 times the Std type and HS type.Std type comparison, HS type Z-direction CTE about 16ppm / ℃, SS-type X-Y direction CTE low about 4 to 5 PPm / ° C, and about 20 PP m/°C in the Z direction. Their dielectric constant and dielectric loss tangent is almost the same. Figure 2 shows the temperature dependence of viscoelasticity. It can be seen from Figure 2, in any temperature range, SS type of elasticity higher than HS type, HS type and higher than std type. Therefore, it is difficult for the high elasticity ratio and the high rigidity substrate to undergo warping deformation. In addition, since the fine pattern formation of the thin substrate is good in handling, it can be used for the insert of the CSP and the production pass rate is improved. HL832HS (SS) has high rigidity while the surface smoothness is excellent. Figure 3 shows the surface smoothness comparison, std type surface roughness of about 2um, HS-type surface roughness of about 1um or less, showing HS-type surface smoothness is excellent. 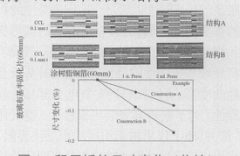 The surface smoothness is not only effective for forming a fine pattern, but also has a great influence on the connection reliability of the chip mounting. It is necessary to impart a high-rigidity and excellent surface smoothness to a glass cloth-based prepreg for use as a laminated layer while developing a copper-clad sheet having high rigidity and excellent surface smoothness. Table 2 shows the glass cloth / BT resin prepreg for laminated usage. 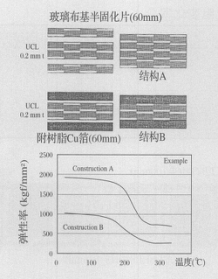 Figure 4 compares the size of the laminate with two layers of laminate (structure B) on the front and back sides of the 0.91 mm thick core plate with a cold resin C foil and the size of the laminate formed with the prepreg layer, Figure 4 shows that the size change of structure A is smaller than that of structure B . Figure 5 compares the modulus of elasticity of the laminate (structure B) and the laminate of the laminated sheet (structure A) on both sides of the core plate with 0.2 mm thickness of the coated resin, and at any temperature the elastic modulus of structure A in the range is high. To sum up, if we only regards the copper-clad plate with high rigidity as the core, and only adopts resin layer with low elasticity that easily has deformation, it is easy to produce residual stress and buckling deformation when the core is particularly thin. High temperature treatment of installation can reduce the safety factor of reliability. As is shown in figure 4 and figure 5, the use of laminate prepreg method that adopts glass fabrics base prepreg as base layer achieves stable productivity and performance. In summary, if the resin laminate with a high rigidity of the core plate of copper clad board, only low flexibility in the core plate of deformable, when the core board is particularly thin, laminated to produce residual stress and prone to warping deformation. High temperature treatment installation will reduce the reliability of the safety factor. As shown in Fig. 4 and Fig. 5, the semi-cured lamination method using the glass cloth prepreg as the laminate material can obtain more stable productivity and performance. One of the key technologies in prepregs is the use of fast processing and practical CO2 lasers to form small diameter vias on the glass cloth base insulation. For those materials that have different thermal decomposition temperatures or extremely different melting points, the CO2 laser has the characteristics of a material with a low selectivity. When the glass cloth-based resin material is processed by CO2 laser, since the melting point of the glass cloth is about 1700 ° C, the decomposition temperature of the resin is about 350 ° C, so that it is easy to selectively decompose and remove the resin portion, leaving the glass fiber, The roughness of the inner wall is large. In order to obtain good CO2 laser workability for a copper-clad sheet or laminated glass cloth-based prepreg for laminated boards, it is necessary to improve the heterogeneity of the resin portion and the glass cloth substrate. For substrates with copper-clad plates as the core, CO2 laser can process Φ100μm vias, and the laminated layers can be processed with a uniform B VH (Blind Via Hole) without the influence of the density of the glass cloth. If CO2 lasers use high-peak short-pulse oscillating lasers, a more stable small diameter vias can be formed. In addition, since the copper foil manufacturers have recently supplied a copper foil for surface treatment to improve the laser energy absorption efficiency, a small Φ 60 μm hole can be formed on a 12 μm Cu foil with a density of 6 mj / shot without using a laser sheet. Fig. 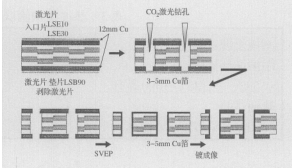 7 shows a copper foil subjected to a surface treatment by a method of direct processing of CO2 laser by Mitsubishi Gas Chemical Co., Ltd., which is a factor technique for forming a B VH prepreg. Due to direct laser processing (DLD, Direct Laser Drilling) and super (high) direct laser processing (S-DLD, Super Direct Laser Drilling).It’s no necessary to use the etching surface of the copper foil mask processing, simplifying the small diameter through hole processing technology to improve the hole accuracy. Figure 8 shows the B V H surface and cross-sectional shape of Φ100 μm processed with S-D L D for GHP L-830 HSCSQ. Figure 9 shows the GHPL-830CSQ two-layer layer, the use of S-D D D to form L1-L3, connected to the skip-shaped vias (Skip Via). The Z-direction thermal expansion coefficient or Tg of the substrate, the quality of the coating, and the high aspect ratio of the via holes all affect the reliability of the vias. 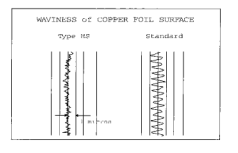 If only the multilayer formation of the resin layer is formed, the thermal expansion coefficient in the Z direction of the laminated sheet is large, and the expansion and contraction in the Z direction during the heat treatment is carried out in the copper plating layer, and the barrel crack phenomenon. Since this phenomenon significantly lowers the reliability of vias, the laminate material requires a high thermal expansion coefficient in the high Tg or Z direction. The thermal expansion coefficient of the glass cloth based material in the Z direction is about 40 pm / ° C, which is lower than that of the resin. Table 3 shows the change rate of the via resistance after the thermal shock test. Figures 10 and 11 show a cross-sectional structure of a laminated sheet produced by a prepreg. Fig. 12 shows the results of the conduction reliability test of the laminated sheet having through holes, which are formed using DLD or S-D D D to form T H, IV H (I n t e r s t i t ial V i a H o l e) and BVH, these three substrates have little or no change in the vias after the hot oil test and the temperature cycle test, indicating that the laminate has excellent reliability. The laminate is more denser than the traditional PCB, but it can not be denied that the traditional laminated material forms a multilayer structure. In the future, people are most concerned about the problem is thin and the development of the multilayer and the reduction of the reliability at the time of high temperature treatment. Mitsubishi Gas Chemical Co., Ltd. proposed a semi-cured film layer, so that once the glass-based semi-cured sheet once again debut, will give the laminated board with excellent surface smoothness and high rigidity. The integration of the lamination technology and the rapidly evolving DLD, S-DL D laser processing technology not only achieves the high density of the laminate, but also provides new applications designed to accommodate thinner, high multilayer and high reliability laminated process.